Founded in 1943, Highland Bank is a privately-held, business-focused bank, bringing value to its customers as trusted advisors and working directly with key decision-makers from start to finish. Our expertise is business lending, with an emphasis in real estate lending, commercial/industrial loans, and government-backed loan solutions. Highland Bank has been a fixture in the Twin Cities for 75 years and has grown to $500 million in assets operating out of five offices, enhanced by technology and a robust online presence. Highland Bank is dedicated to building strong profitable relationships by focusing on and helping to identify the needs of each individual customer. We work hard to build new profitable relationships, as well as strengthen our existing ones. We believe every customer interaction contributes to the building of a stronger foundation. Highland Bank is committed to the prosperity of our customers. We strive to go above and beyond expectations in every customer interaction. We offer a full line of products, excellent service, and we build customer relationships based on integrity and respect. Highland Bank is committed to the prosperity of the communities that we serve. Our employees participate in the activities of the communities and our charitable giving program enriches lives. By working to keep our communities vibrant, our goal is to enhance the lives and prosperity of everyone living and working in these communities. Highland Bank is committed to the prosperity of our employees. We value each employee as an essential and integral part of the team with a focus on support, recognition, open and honest communication, skills development, professional growth opportunities and providing the necessary resources and training. Highland Bank is committed to the prosperity of our shareholders. We create a strong franchise value and market presence. Highland Bank is a family-owned company and we strive to constantly produce value and exceed the expectations of the family. We look to them to continue to challenge us to be the best bank we can be! Security Bank Northwest, with offices in St.Michael and Maple Grove. The Highland Bank, with offices in St. Paul and Bloomington. Since the merger, Highland Bank purchased Ridgedale State Bank, adding a fifth branch in Minnetonka. 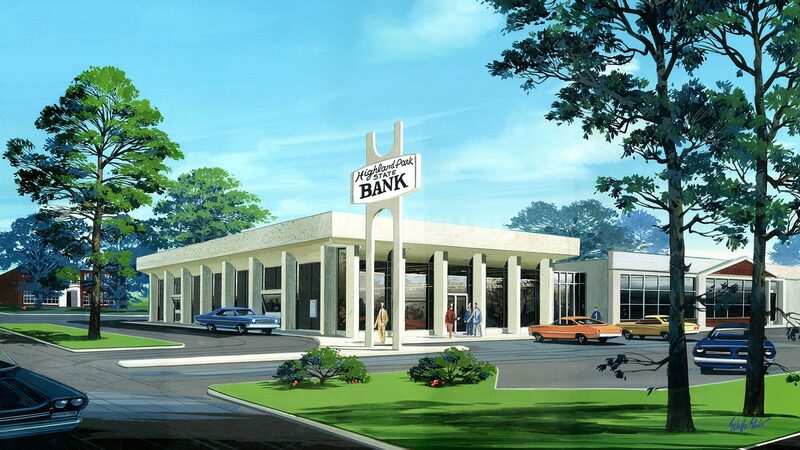 Highland Bank has been owned by the Wall Family since the mid-1970s. Engaged, knowledgeable employees are our greatest assets. Highland Bank is committed to employees by providing skills development and professional growth opportunities. At Highland Bank, you’ll be working directly with local key decision makers who have the knowledge and skills to provide financial solutions that fit the needs our customers.